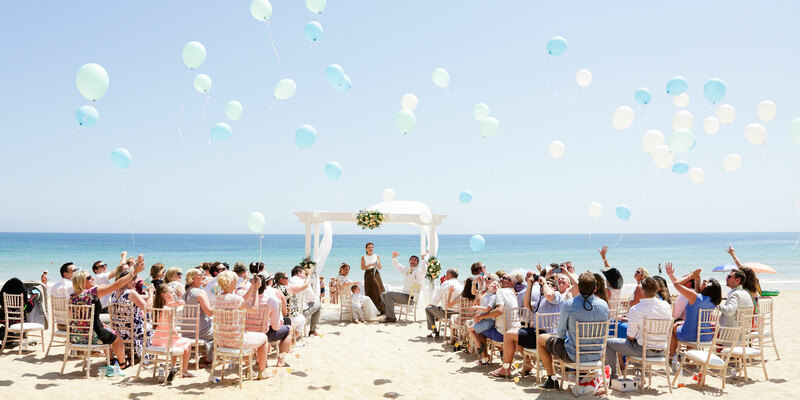 Algarve Weddings & Events, we can help you plan your perfect wedding or event. We hold an extensive stock of furniture and equipment. Fairy Lights, Festoon Lights, Lanterns, Candles, lights for all occasions! Lighting Hire for any Occasion! 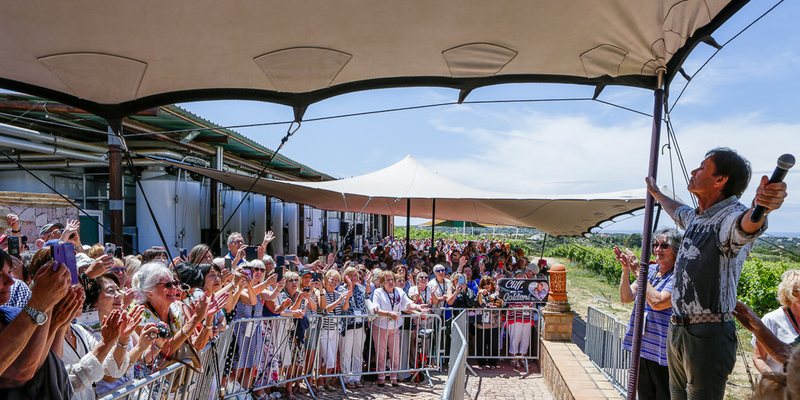 Weddings, Garden parties, Anniversaries, Birthdays, Corporate Functions, Product Launches or just because it’s the summer! 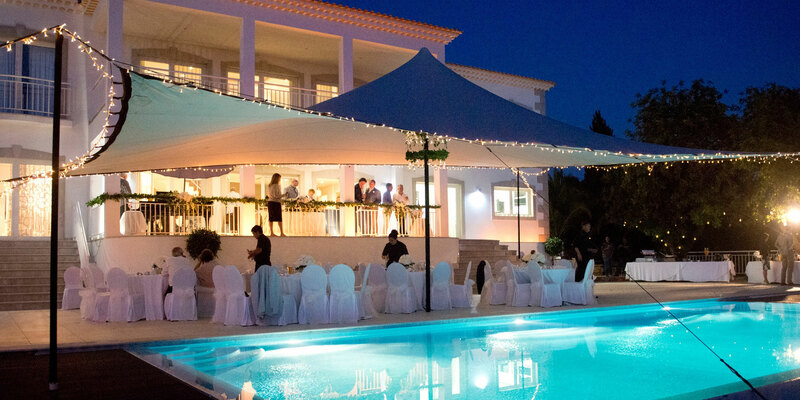 Algarve Marquees based in Lagos are truly redefining outdoor entertaining. 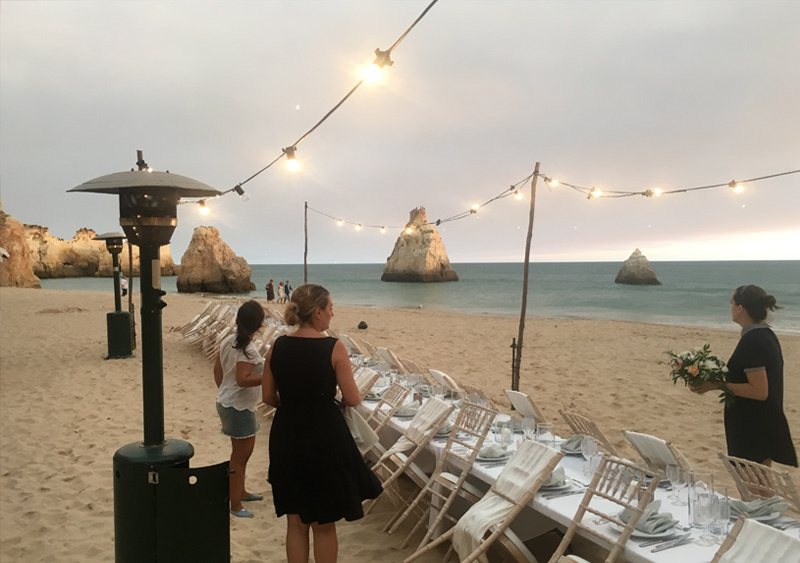 These unique lightweight stretched structures are bringing a fresh approach to events along Portugal’s south coast. 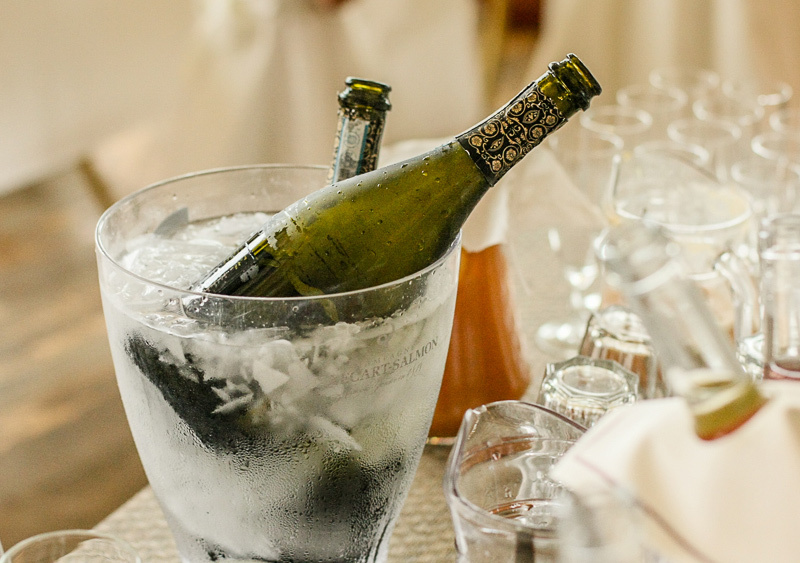 We have many years of event experience and pride ourselves on our friendly service and attention to detail making sure your party is as memorable as possible. Understanding that each event is completely unique our marquees allow our team to create an individual design by molding the fabric around its landscape. We can float the structure creating and elegant roof over a terrace or garden or extend the fabric to touch the ground giving the space a more intimate feel. We also offer an extensive stock of event equipment available for hire; furniture, dance floors, lighting and much more to complete your perfect party. 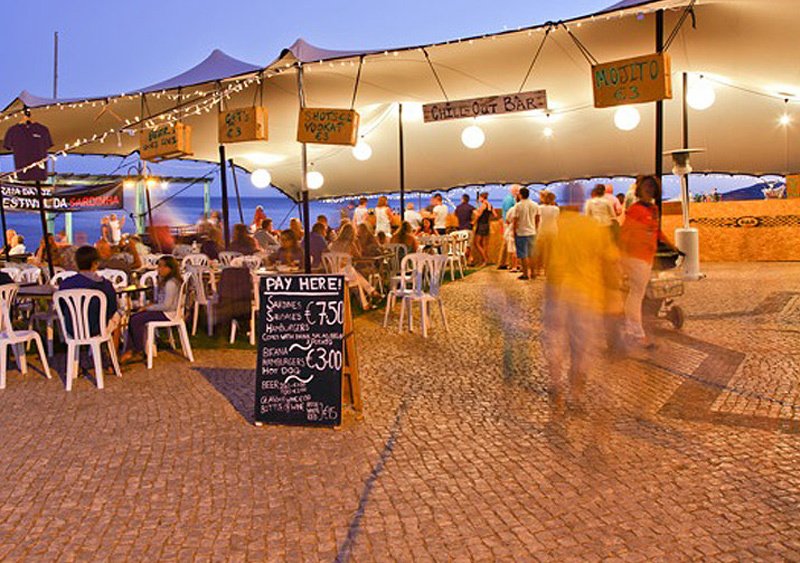 We can cater for small intimate dinners to large weddings and corporate events. 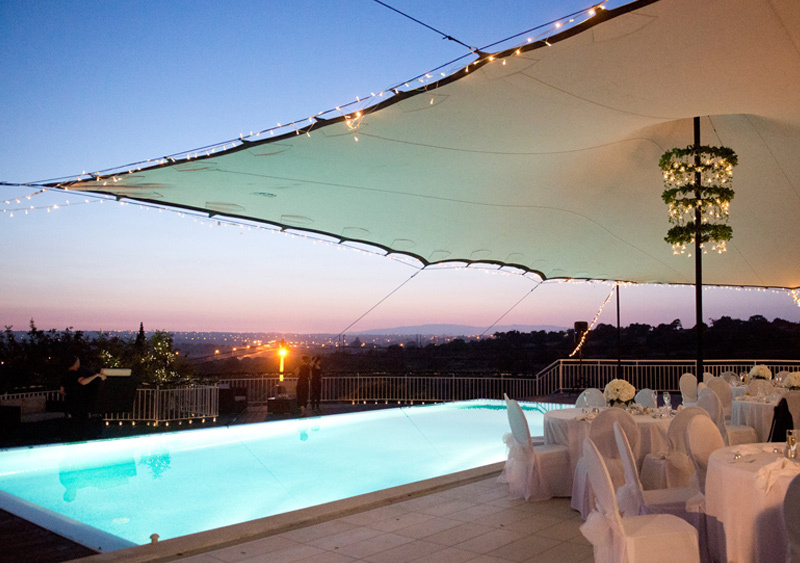 Whether its shade from the sun, shelter from the wind or just to create an intimate setting we have the solution. 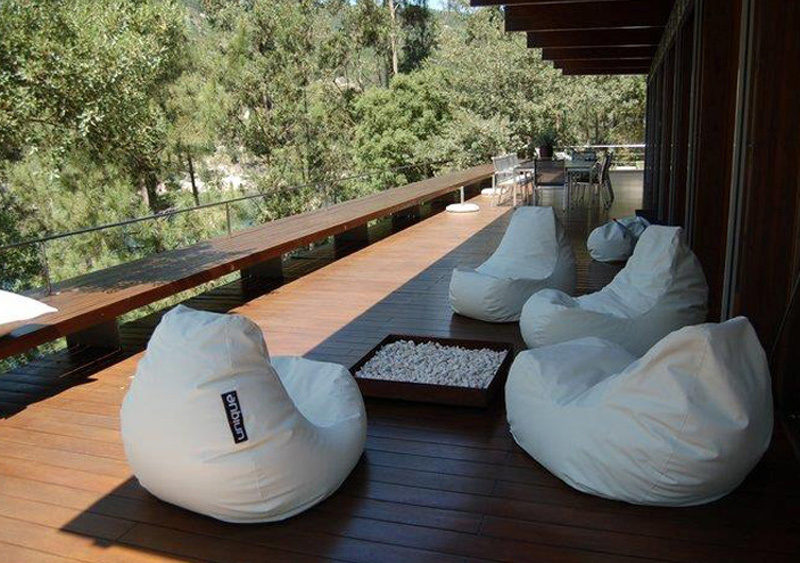 100% waterproof stretched material designed to fit into any environment. 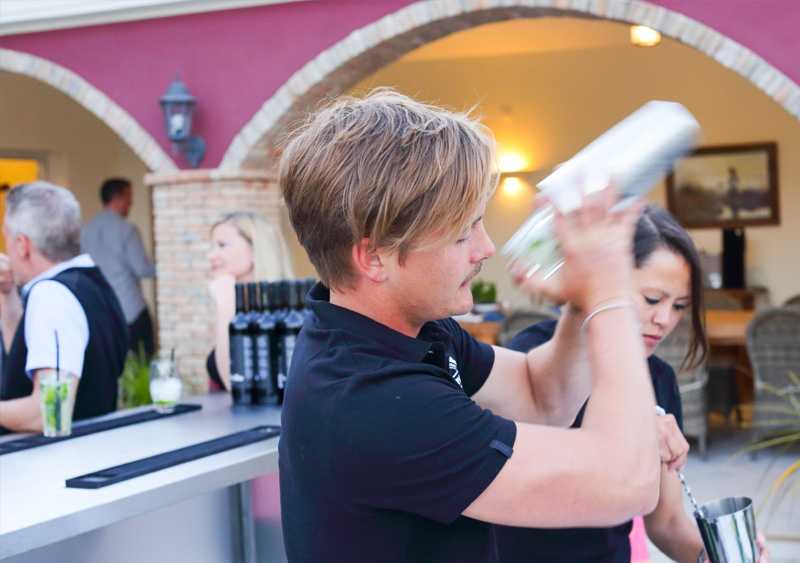 Hire a professional bar service for your private or corporate event, weddings, parties and festivals. 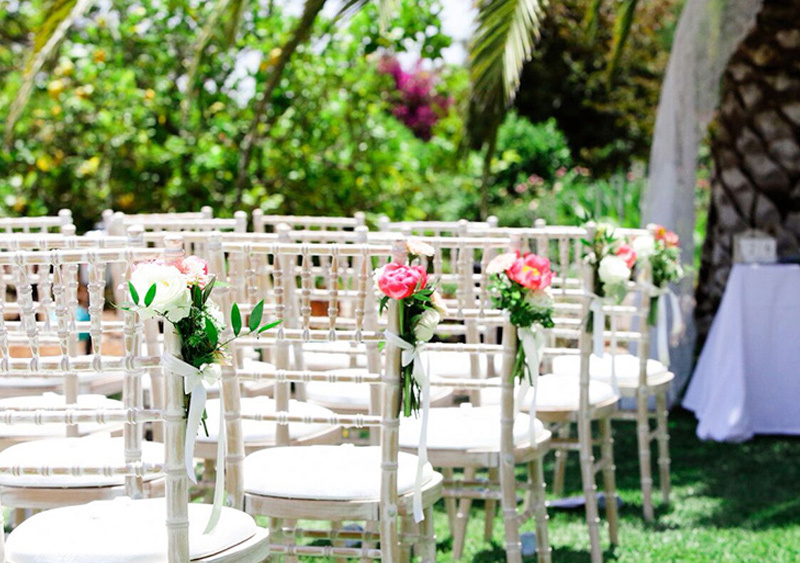 We can provide equipment hire for your wedding or corporate event, such as chairs, chair covers, tables, lights, dance floors etc. Just contact us with your requirements and we'll be happy to help. FAQ'S about our Marquee's and Equipment Hire. From the sizing of our marquee's to what tables we have and how many they seat and anything else you might need. If you can't find your answer please feel free to contact us. "Tom was communicative throughout the booking process of our wedding, his equipment arrived on time and was swiftly both set-up and then taken away without us even noticing the following day. All the furniture we borrowed was of a high standard and we were very pleased we used his company!" 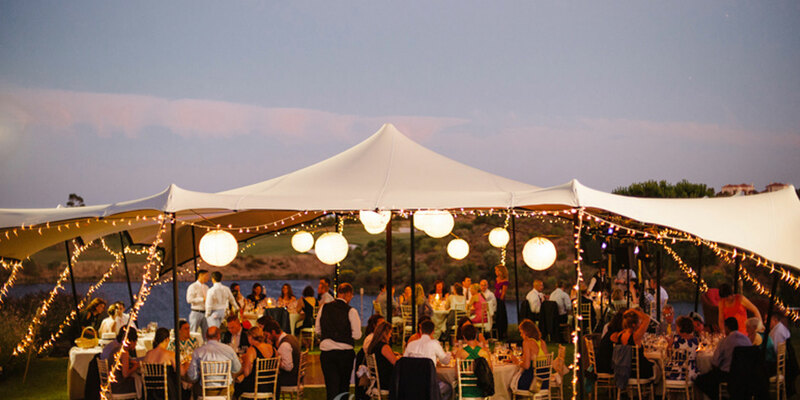 "I chose Algarve Marquees to supply us with a Pagoda for our wedding vow renewal ceremony. 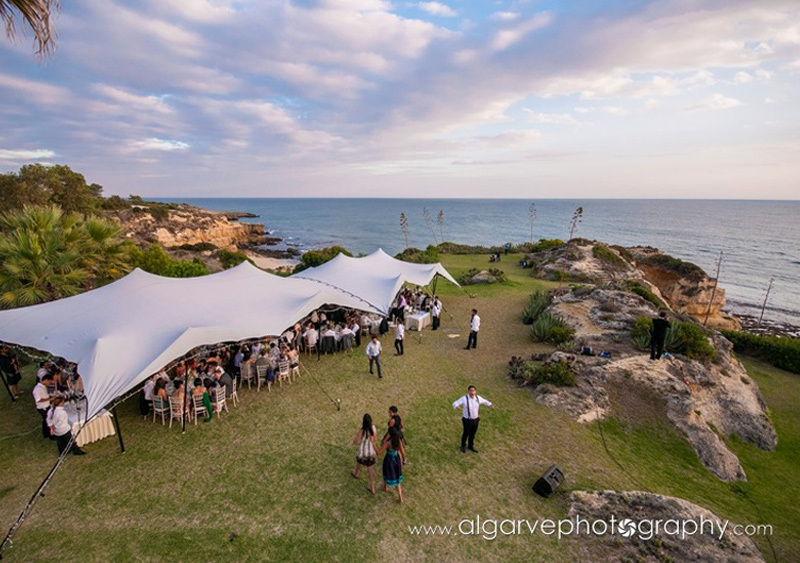 Algarve Marquees came highly recommended to us and did not disappoint on the day. The ceremony was very early in the morning due to tide times and the fact that we wanted a little privacy, so the Pagoda was set up without a "hitch" prior to our arrival. 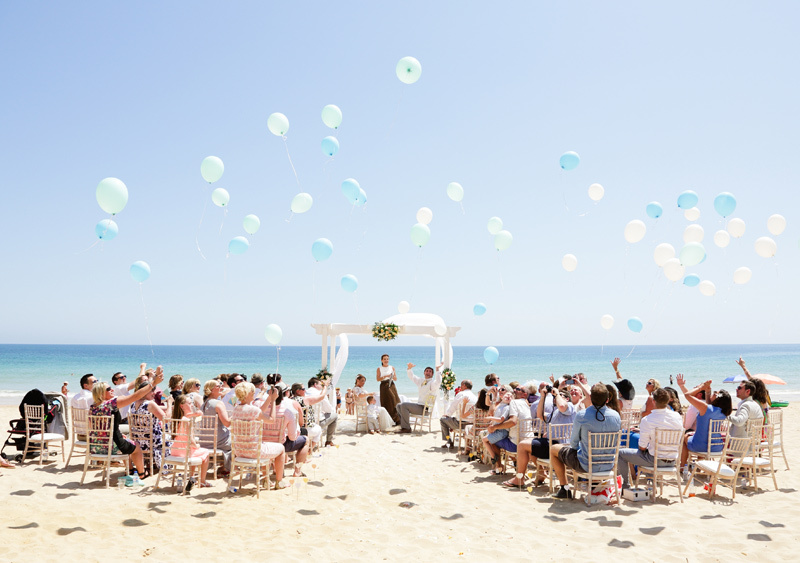 The beautiful Pagoda looked stunning on Camilo beach with its white drapes, table and chairs; it provided a beautiful backdrop and setting for our special day"
Hire out Chill out Chairs, we can also supply doughnuts, bean bags… fun for the beach!! 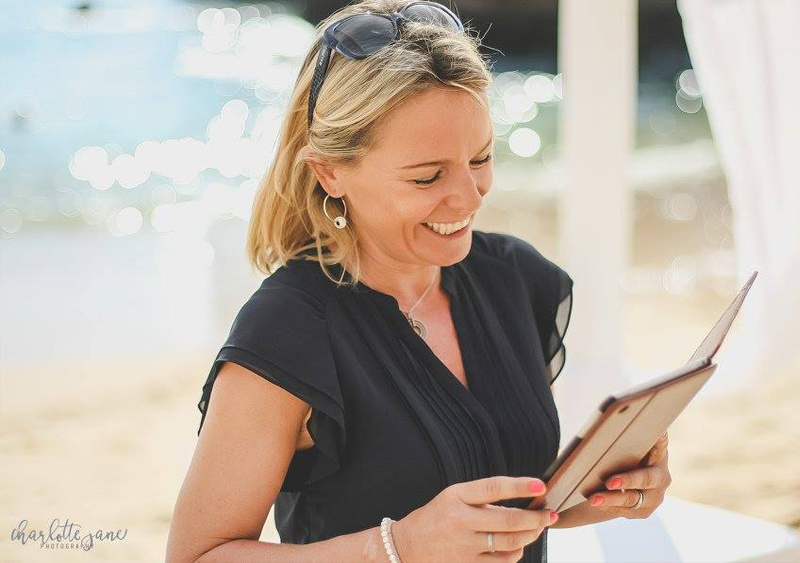 We work closely with British wedding celebrant Lucy Fox. Lucy trained as a celebrant. 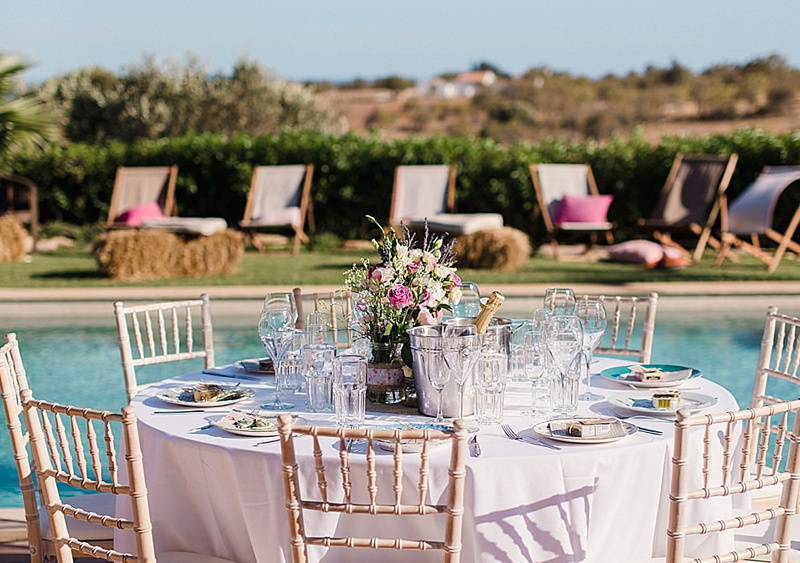 Boho Wedding, Algarve Marquee’s supplies the equipment.